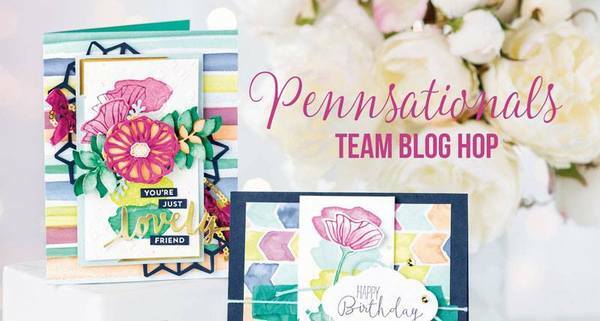 Welcome to Stamping with Sandy J and the Pennsationals Annual Catalogue Blog Hop. You have probably reached me from the fabulous Linda Whalley. Tranquil Tulips was one of those stamp sets that "spoke" to me when I first saw the 2017-2018 Annual Catalogue. I have always loved tulips and have visited the Keukenhof tulips fields twice so far. 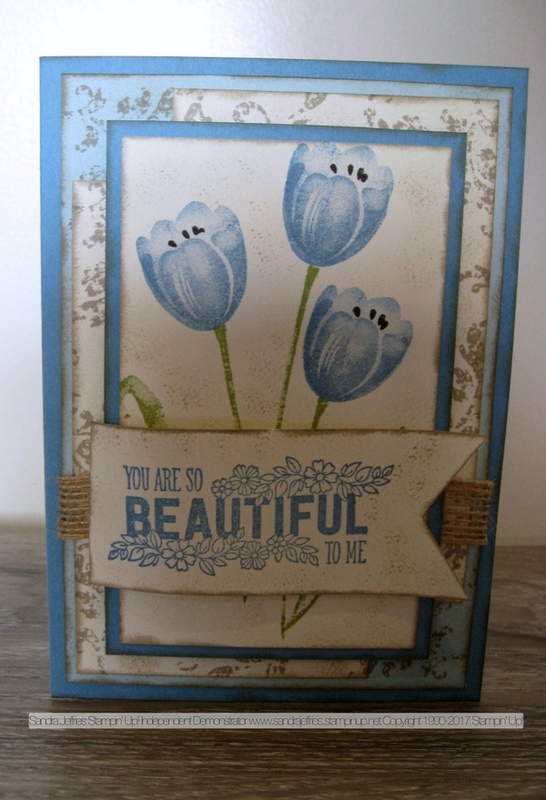 Last Thursday morning when I really should have been cutting and preparing for my Catalogue launch event, I took out my Tranquil Tulips stamp set and began playing for a couple of hours. I wanted a card that would make my cousin go "Wow" and I wanted it to be a little bit vintage and using our favourite coluor, blue. So here is what I came up with. I used an old returning favourite, Timeless Textures as well as another new set, Just Add Text. Here is a close-up of those beautiful tulips. I thought the tulips deserved a beautiful sentiment and none are lovelier than the one I chose from Just Add Text, as seen below. 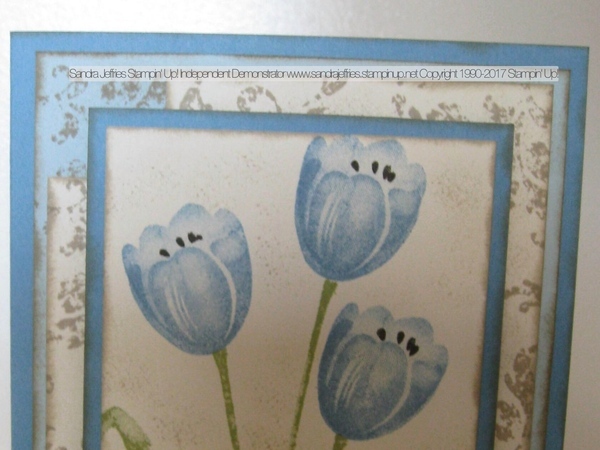 I made three tulips cards that morning and when I showed themj at my catalogue launch on Saturday, my cousin piped up saying she would have this one for her birthday, thank you very much. So this one is for you Jules! 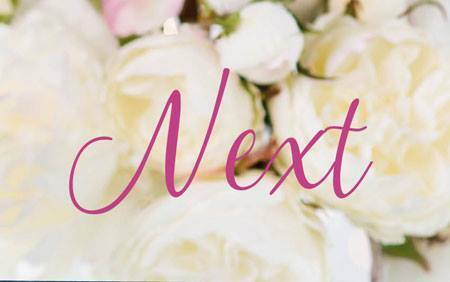 And now take a look at the gorgeous projects Jess Williams has designed.